Skin cancer is a major public health issue in Australia and Queensland records the highest rates of melanocytic and non-melanocytic skin cancer (NMSC) in the world. Over 10,000 cases of melanoma are diagnosed each year in Australia, with 25 percent of those Queensland cases. Due to its prevalence, authorities have often called skin cancer a Queensland disease. The Skin Cancer Foundation recommends that everyone practice monthly head-to-toe self examination of their skin, so that they can find any new or changing lesions that might be cancerous or precancerous. 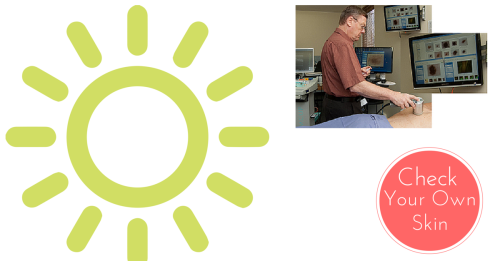 Skin cancer found early can usually be successfully treated. However if left untreated, skin cancer can be fatal. Many melanomas are discovered by people themselves or by a family member so it’s important to get to know your skin and what is normal for you so changes will be quickly noticed. Performed regularly, doing self examinations can alert you to changes in your skin and help in the early detection of skin cancer. A self examination should be done often enough to become a habit, but not so often as to feel like a bother. For most people, once a month is ideal. You must first find a room with good light and a full length mirror. If you are on your own have a hand-held mirror to check difficult to see areas. 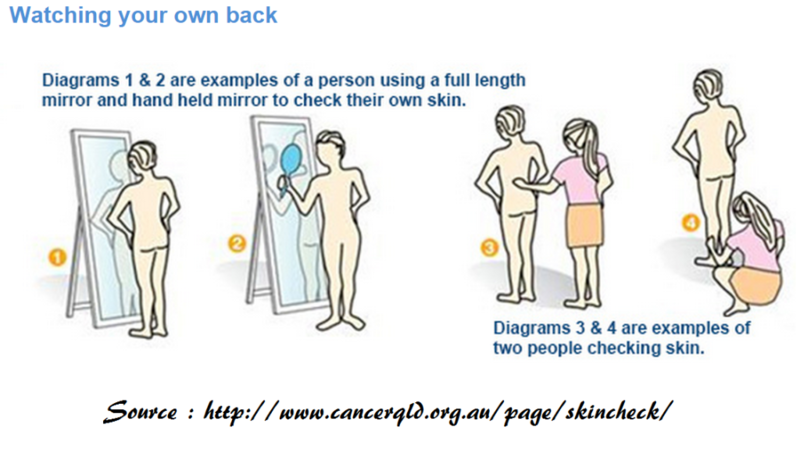 Second, follow these self examination steps from the Skin Cancer Foundation.